Treat yourself to one of our fabulous executive rooms and relax in the luxurious king size bed waiting for you. The perfect choice for leisure guests, couples and corporate travellers. 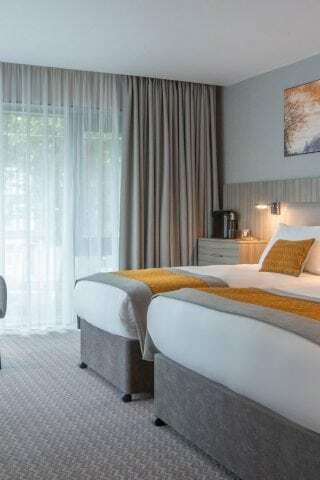 Our fully air conditioned executive rooms have all the modern amenities as well as Bewley’s Espresso coffee at the touch of a button and an upgraded TV package.